ReTooled & ReFueled for Personal Success: 8 Powerful Strategies That Will Change Your Life for the Better - Forever! Steve Diggs (CSP) knows how to develop leaders. He led his own advertising agency and broadcast production company for 25 years. Upon selling it, he has built an internationally acclaimed speaking, consulting and writing business. Steve teaches his Fast-Forward Leadership Programs™ to companies and organizations around the globe. He's the author of ten books. Since joining the professional speaking industry, Steve has become one of America's most sought after keynote and breakout speakers, leadership trainers, and C-Suite thought leaders. 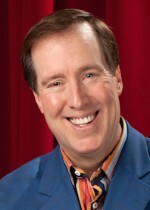 He is the recipient of the National Speakers Association's Certified Speaking Professional (CSP) designation. Steve has shared his insights with over 3,000 audiences on five continents. A bestselling author, he has also written 100's of published articles in leading resources, which have appeared both online and offline. He is a gifted communicator who inspires his audiences with wit, storytelling, and a deep knowledge of leadership strategies, branding and communication skills.